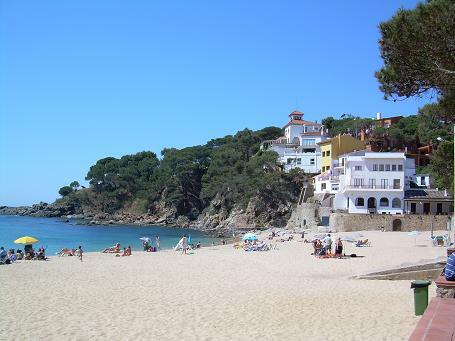 Llafranc is the town which follows Calella de Palafrugell having passed the Punta d'En Blanc. Snuggled into one of the most peaceful and most beautiful little corners of Costa Brava, the town is comfortably sheltered to the east by Cap de Sant Sebastid. You can find an eighteenth century hermitage dedicated to the same saint, Sant Sebastid, an old Catalan farm house converted into a lovely hotel, and also the modern lighthouse, one of the most important in the Peninsula. 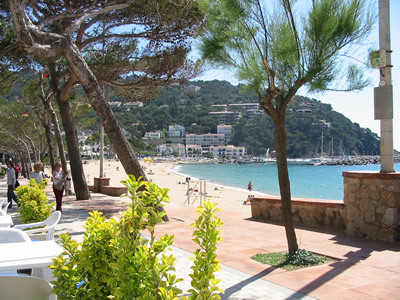 Llafranc's origin is similar to that of other towns and villages on the coast - it began as a refuge for fishermen, who drew their boats up along the sandy beach. When the period of raids by pirates was over, the refuge became the home of the fishermen, who alternated their farming the land with fishing activities.